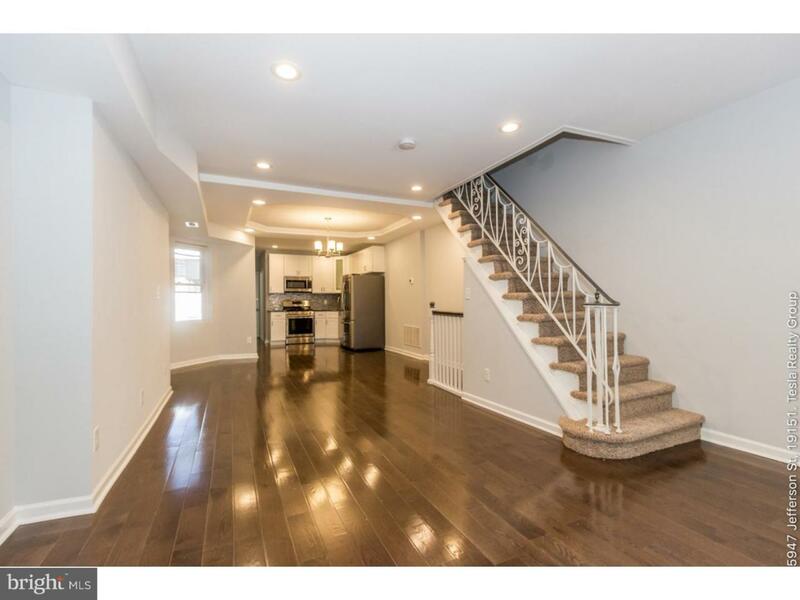 Presenting fully rehabbed 4 bedroom, 2 ~ bath house in Overbrook area. 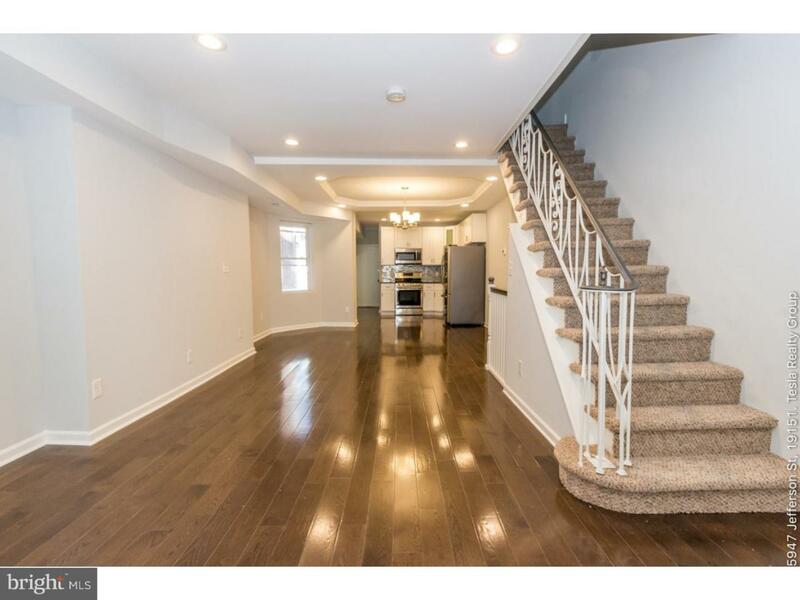 Main level features open living space and dining area with new hardwood floors, base molding, custom trey ceiling, recessed LED lighting, etc. 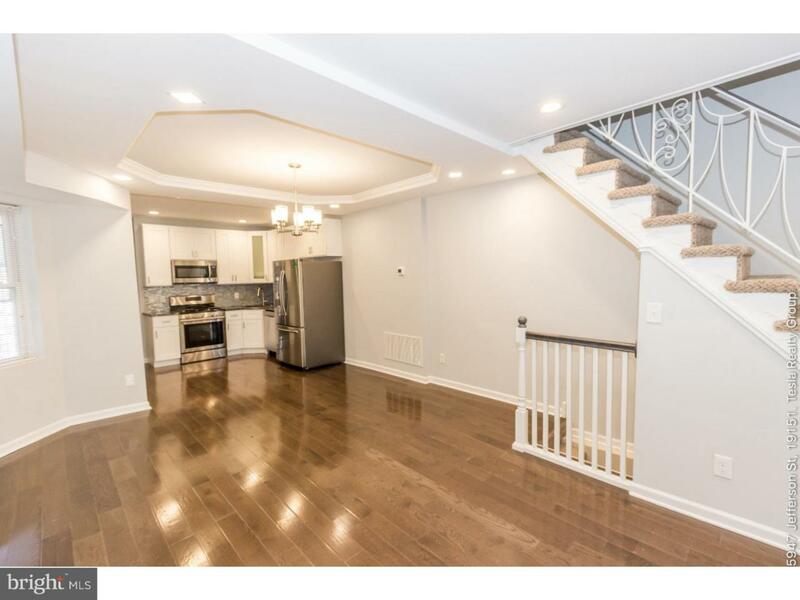 Kitchen has been elegantly designed with stainless steel appliances (refrigerator included), classic wood cabinets, granite countertops and sleek back splash. Also, on the main level you'll find a guest powder room and laundry for your convenience. Upstairs three large light filled bedrooms come off the open hallway with high ceilings and 2 lovely tiled bathrooms with brand new vanity and fixtures. 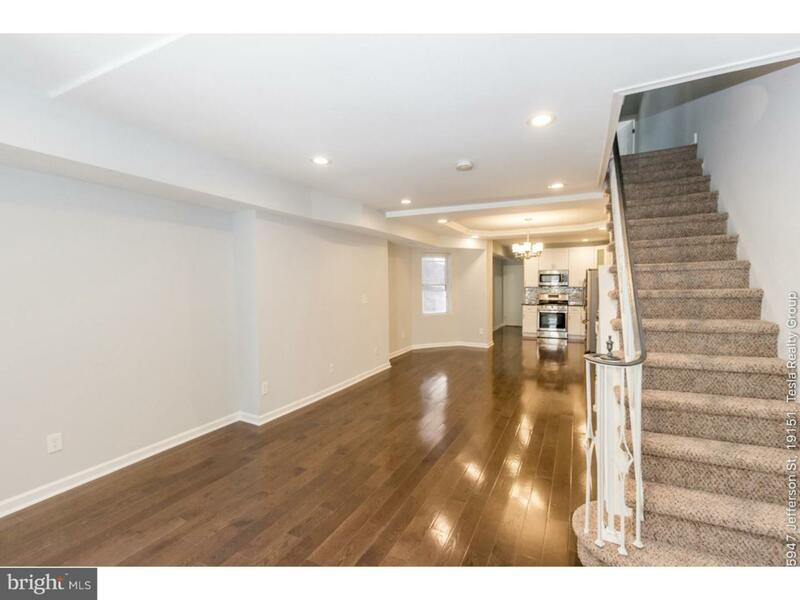 You'll appreciate finished basement with a playroom and fourth additional bedroom. Other key elements include brand new water heater, HVAC system, new doors and windows throughout, and rear balcony for your summer BBQs. Neutral tones offer a blank canvas upon which to imagine yourself making it your own unique home. Schedule a showing today!! !